I mentioned when I redid my blog that I would be adding some features, one of those being Sunday Loves. Sunday Loves meaning people/places/things that I'm lovin' on this week in particular. This feature will not always be food, but in this case, all my loves today are food. Ryan - This might be the only bread I ever eat again. I only made a half batch of apple butter, but I will definitely be making lots more. Ryan was concerned that we only had 2.5 jars. He was relieved when I told him I would make more. I'm definitely hitting the fall bake-something-every-day feeling. I just wish it would get a *little* bit cooler, just a bit. 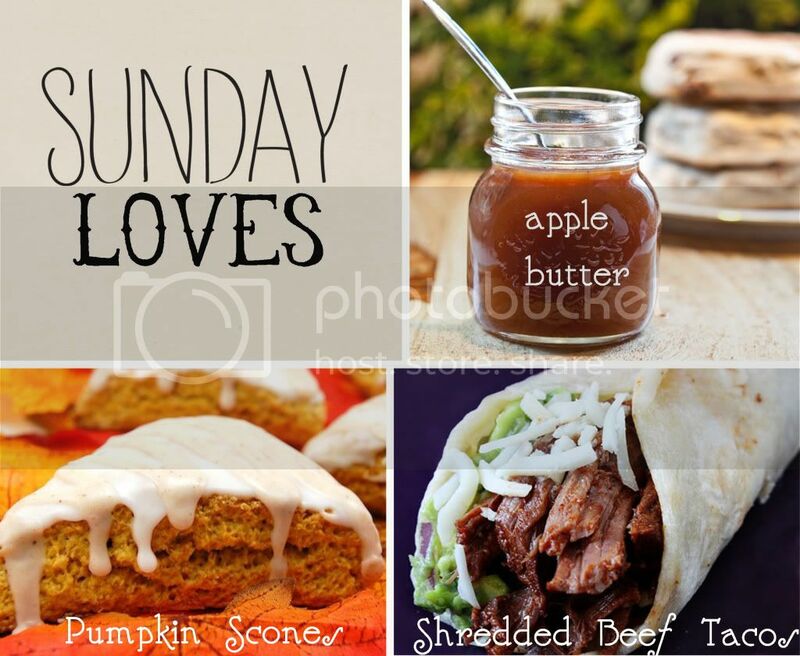 Enjoy your Sunday, and if you're in the area, stop by for some scones and apple butter. Wish we were in the area! Those scones look delicious. I may have to make some. . . soon!! !